Home / Retirement / What is a SEP IRA? You’ve probably heard that there’s a traditional IRA and a Roth IRA. But have you heard about the other member of the trio, the SEP-IRA? It’s a less famous but still tax-advantaged option, designed for self-employed people and small business owners. Sound like something you might need? Let’s dig a little deeper. 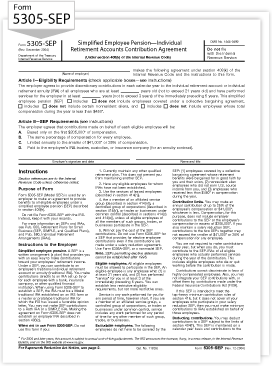 The “SEP” in SEP-IRA stands for Simplified Employee Pension. “Simplified” might be overstating it a little, since nothing involving the IRS is exactly simple. But a SEP-IRA does provide a relatively straightforward way for the self-employed and small business owners to benefit from tax-deferred savings for retirement—for themselves and their employees. Think of it as a self-employed IRA. You get to deposit money in a retirement account for yourself, and contribute to retirement accounts for employees if you have them. Answer a few simple questions to get your free personalized investment plan. To be eligible to open a SEP-IRA, you must be a sole proprietor, a business owner in a partnership, or earn self-employment income. If you have a regular 401(k) for your 9-to-5 job, but earn self-employment income from your novelty tea cozy business, you can set up a SEP-IRA with the profits from your sales. You can contribute up to 25% of an employee’s compensation into a SEP-IRA, or $53,000 for 2015, whichever is the lesser number. The SEP IRA contribution limits change yearly based on IRS cost-of-living adjustments. If you’re self-employed, the same SEP-IRA maximum contribution limit applies to you, but you can’t deduct the contributions in the same way. The SEP-IRA contribution dead line is the same as the tax deadline for your business. That's April 15th, or later if you file an extension. When you reach 70 ½ you’re required to start taking Required Minimum Distributions (RMDs) from your SEP plan if you have one. But if you withdraw money from the account before age 59 ½ you’ll face a 10% early withdrawal penalty, unless you qualify for an exception to this IRS rule. The money you withdraw from your SEP-IRA will be subject to standard income taxes. Sound familiar? That’s because the withdrawal rules for a SEP-IRA are like the ones for a traditional IRA. Contributions to a SEP-IRA are tax-deductible as business expenses, and the business pays no taxes on the investments’ earnings. Not too bad, right? An employer is not required to make contributions each year. A business owner may decide on an annual basis whether to contribute to the employees’ SEP-IRAs, as well as how much to contribute. That means you can do what makes sense for your business on a yearly basis, and you’re not locked into paying whatever amount you paid the year before. Sole proprietors, partnerships and corporations, including S corporations, can set up SEP plans. It’s flexible. Administrative costs for SEP-IRAs are relatively low compared to other retirement plans. And once it’s in place, a SEP is pretty simple to operate. A trustee will manage the deposits of contributions into employees’ accounts, as well as handle the investments and the preparation of any statements required by the IRS. Your employees can still contribute to other retirement accounts. The amount you contribute to employees’ SEP-IRA plans won’t affect employees’ ability to contribute to another IRA. SEP-IRAs have higher contribution limits than traditional or Roth IRAs. Can I contribute a higher percentage for myself and my favorite employee? Nope. Whatever percentage of compensation you decide to contribute to your own SEP account, you must contribute the same percentage for all of your employees. If you’re self-employed or a small business owner, the SEP-IRA isn’t your only option. SIMPLE IRA: The Savings Incentive Match Plan for Employees (SIMPLE) IRA is an option for small businesses with 100 or fewer employees. With SEP-IRAs, all contributions come from the employer, whereas with a SIMPLE IRA, part of each year’s contribution can be taken from employees’ salaries. Employees can contribute more to SIMPLE IRAs than they can to traditional or Roth IRAs. Employers must contribute either 2% of each participating employee’s total compensation, or make a matching contribution of 1-3% of total pay. Employers’ matching contributions are tax deductible. Solo 401(k): With a Solo 401(k) you can make flexible, tax-deductible contributions to a retirement account. The Solo 401(k) requires more maintenance than IRA options, though. You’ll also need to pay administrator and set-up fees. Defined Benefit Plan: Remember these? Increasingly rare, the defined benefit plan is still a good way to boost retirement savings as a business owner. If you use one for yourself, you’ll be required to offer them to your employees as well. You can contribute over $200,000 to a defined benefit plan, and can combine it with a SEP-IRA or Solo 401(k). You are locked into a certain minimum annual funding, though, regardless of how your business performs in a given year. That’s because with a defined benefit plan you’re committed to meeting an eventual payout for yourself and your employees. You have to keep contributing so you’ll be able to make the retirement pay-outs down the road. (Employee X’s Compensation/Total company compensation) x Total employer contribution = Employee X’s share of the total contribution. Again, this is to make sure that you’re not showing favoritism to certain employees. Word to the wise: The administrative costs for profit-sharing plans may be higher than with SEP-IRAs or SIMPLE IRAs. Employee Stock Ownership Plan: With an Employee Stock Ownership Plan (ESOP), employees have an ownership interest in the company where they work. While you’re with the company, your ESOP shares are part of your compensation. When you leave the company or retire, your vested shares go into a company marketplace, and the company buys back the shares at their market value. Whether you go with a SEP-IRA or choose one of the other options, you’ll be way ahead of the many Americans who don’t save anything for retirement, and the business owners who don’t help their employees save. Well done! How will your 401(k) impact your retirement?